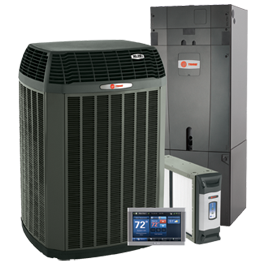 Deer Heating & Cooling is a family-based company that has been in business since 1996. We have maintained the same philosophy since the very first customer: “The customer’s needs always come first.” We take great pride in the reputation we have built through the years with our customers, and we will always make sure that our customers’ needs are met. We are very active in our community, and we try our best to help those in need. Deer Heating & Cooling is proud to continue our charitable works, such as our ham giveaway in December for the holiday season. Nothing gives us more joy than helping others. Being a family-based company, we extend that mentality to our customers by making each of them part of our Deer Heating & Cooling family. 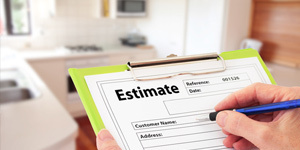 Mike has worked in HVAC for over 20 years with experience and expertise in both installation and service. We are lucky to have an owner who is still committed to work in the field by going to service calls or assisting with installations. He is licensed and bonded in the state of Ohio. Mike lives in the Huber Heights area and is married with 2 children. Tom Mackey is our Sales Manager. 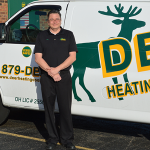 Tom has been associated with Deer Heating & Cooling for over 7 years. Tom is a Comfort Specialist and is determined to make sure the customer gets the best options for their HVAC system. He has over 15 years experience in the HVAC business. Tom has worked in both installation of new equipment and in servicing HVAC equipment. His knowledge and experience is very helpful to the customer. Tom currently resides in the Dayton area with his wife and children. 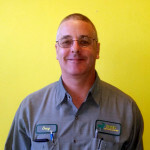 Doug Shaw is our service manager. 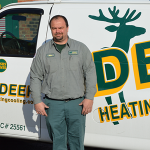 He has been with Deer Heating & Cooling for over 5 years. He has been working in the HVAC industry for 30 years. Doug helps our service technicians and he will go to service calls to make sure the customer is getting the best service. His knowledge helps our service technicians continue to learn and grow in the HVAC industry. He is married and currently resides in the Dayton area. He is also a proud grandfather!